1852 $50 Assay Office Fifty Dollar; 887 Thous. 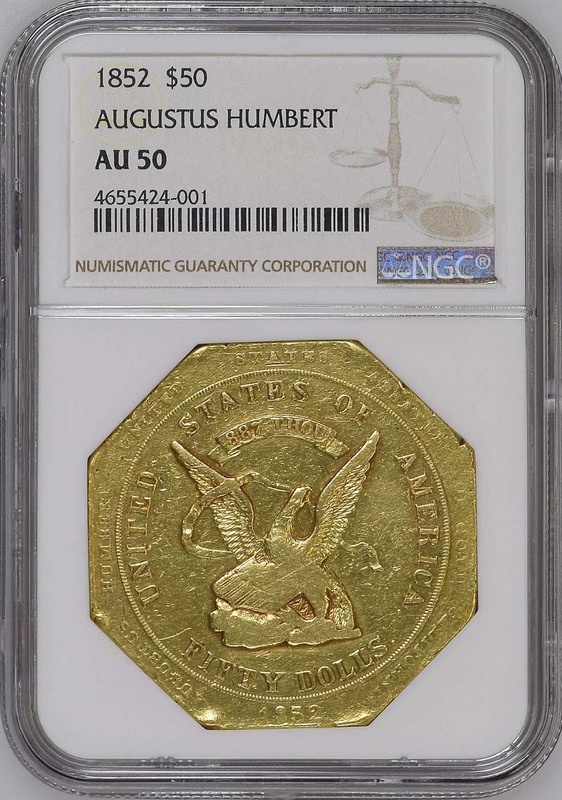 AU50 NGC K-13; R.5. John L. Moffat sold his interest in Moffat & Company to Joseph R. Curtis; Philo H. Perry; and Samuel T. Ward effective February 14; 1852. The new firm of Perry; Curtis and Ward was authorized to continue the coining operations of the United States Assay Office under the same terms as the old firm. Augustus Humbert remained as assayer. The offices moved to a larger location at 608 Commercial Street; and lower rates were advertised for coining gold dust into coins or bullion. The Assay Office continued to operate successfully until late 1853; surviving the death of one of the partners (Ward); and the reorganization into a new firm of Cutis and Perry. Its facilities were eventually transformed into the San Francisco Mint; which commenced operations on April 15; 1854. 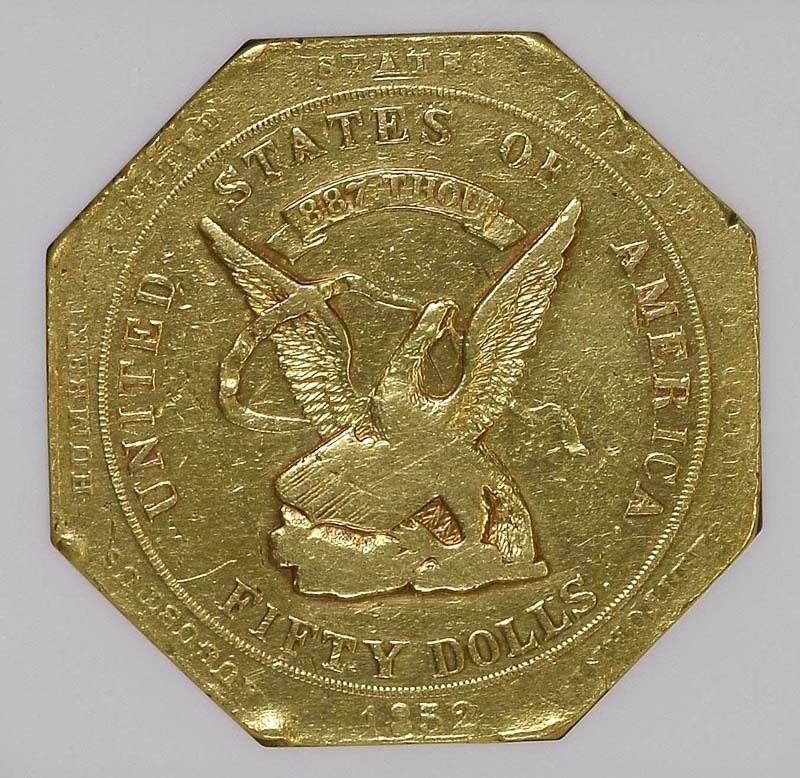 Early in 1852; the Assay Office began to issue fifty dollar gold pieces of the K-13 variety; similar to the older Humbert design; but with the inscription UNITED STATES ASSAY OFFICE OF GOLD SAN FRANCISCO CALIFORNIA 1852 around the border. The edge was reeded and the fineness was expressed as 887 THOUS. ; with the figures raised rather than punched in. 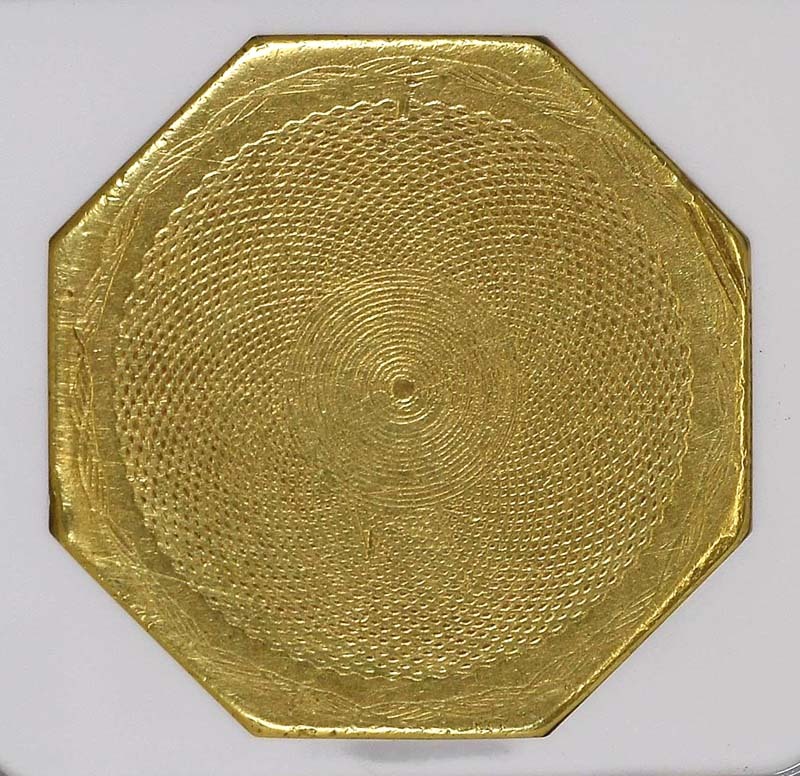 The reverse featured the familiar engine turned design; but with smaller concentric circles in the center. These coins circulated extensively until September of 1852; when a new federal law required the customs collector to accept only coins of .900 fineness. 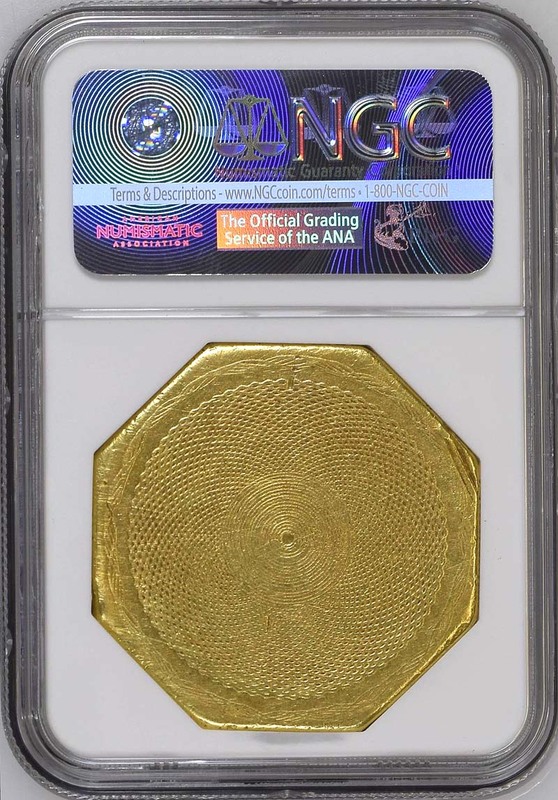 This; and other developments; effectively ended the circulation of fifty dollar gold slugs; except for an emergency issue of .900 fine K-14 slugs in early 1853.